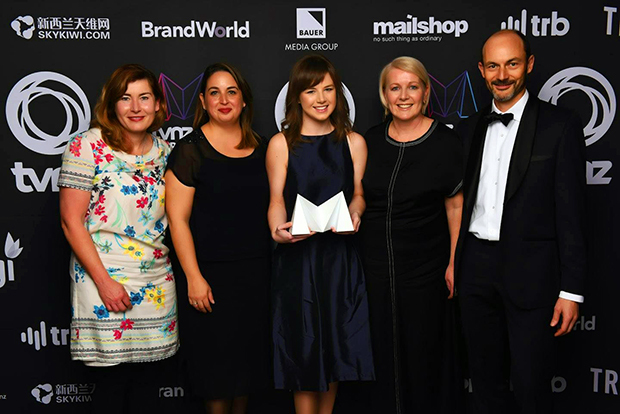 It was a great honour to receive an Excellence Award at the recent TVNZ Marketing Awards for the Best Internal Marketing Strategy for the creation of our HG+ME initiative. Centred on our people (recruitment, retention, and wellbeing), our HG+ME internal initiative was launched a year ago, and has been successful in engaging people and improving our culture. The idea was launched with a Wellness Fortnight, followed by the creation of a LivingWell@HG group and a regular programme of events. We’ve also extended this externally into our recruitment drive. We were up against some stiff competition with other finalists in our category including the Spark Diversity campaign, Fisher & Paykel Healthcare and Fly Buys. Congratulations to our Marketing and People teams – a great achievement and collaboration resulting in an award-winning programme. It proves that with the same tools you can get different results when you think creatively. Our Managing Director, Glen Cornelius, says the initiative has resulted in an improvement in culture and a decrease in turnover. He says staff have commented it's one of the best things HG has done to support them.